The 1/4, 5/16 & 3/8 non ground washers are plated Zinc II yellow. The 7/16, 1/2 & 9/16 ground washers are chamfered. 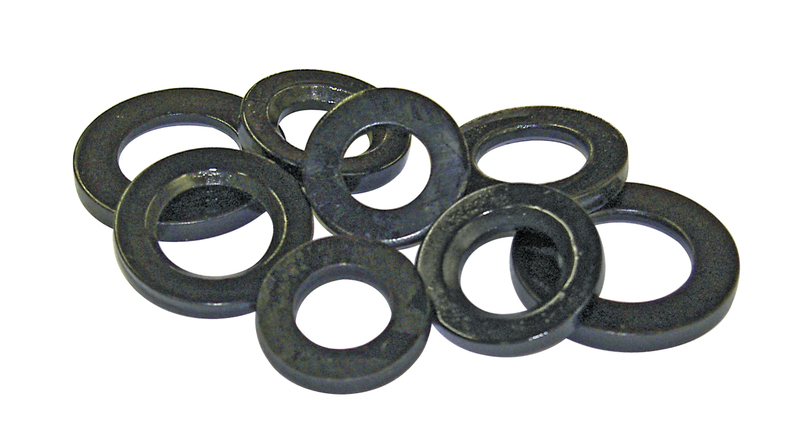 Mostly know as HEAD BOLT WASHERS.